Light Efficient Design 35-Watt E26 Medium screw-in internal driver LED retrofit lamp offers 5537-Lumens daylight light output. It has color rendering index of 84 and color temperature rating of 5700K to ensure optimal light level in the surrounding. LED lamp has a dimension of 3.3-Inch Dia x 8.3-Inch. It emits or distributes light at beam angle of 360-degree. Lamp has voltage rating of 120 - 277-Volt AC. It has an average life of 50000 hours. This lamp is suitable for use in decorative post top and area fixtures. 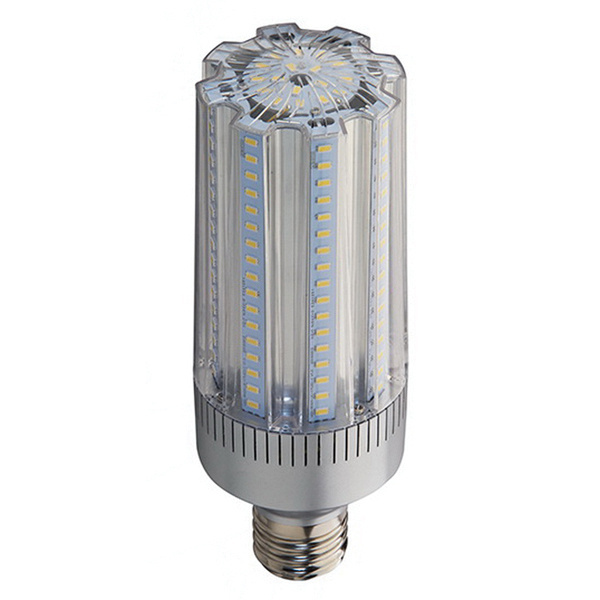 It operates at a temperature rating of -40 to 122 deg F. LED lamp is UL/cULus/DLC listed.